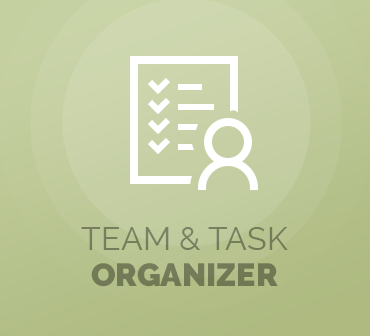 Team & Task Organizer For Magento is a modern extension that will allow you to organize tasks and manage workflow in your online store. 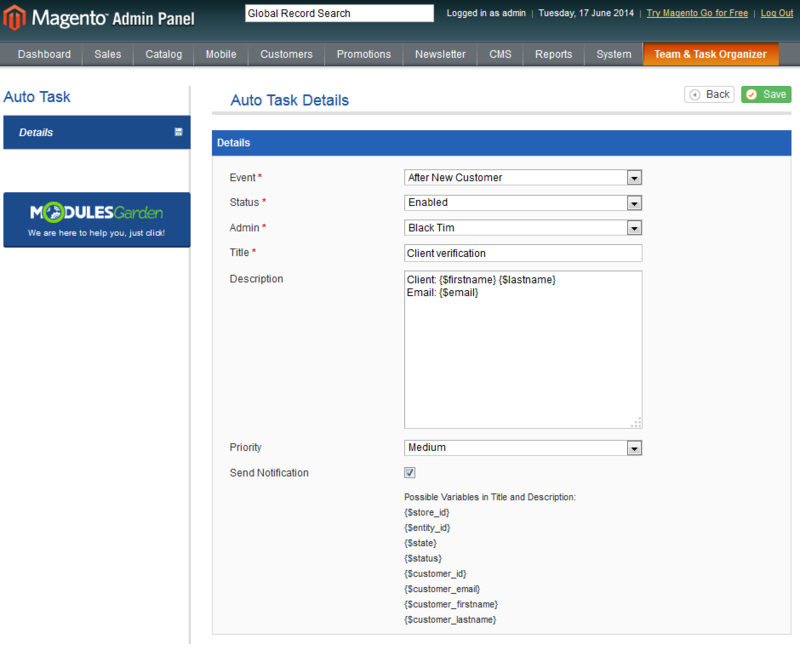 Owing to implemented organizer you will be able to add, edit and remove various tasks, as well as assign them to a specific admin or group of admins. In that way, you will be allowed to easily supervise and control actions and tasks that need to be done each day. 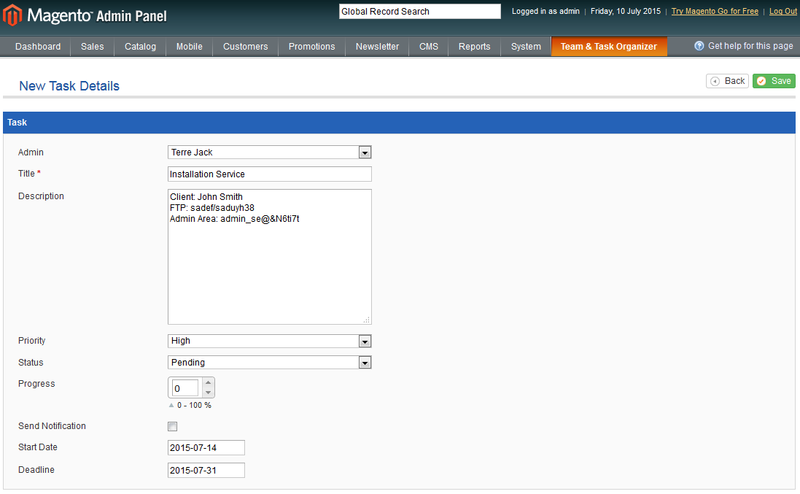 The extension will let you precisely define privileges of particular staff members. 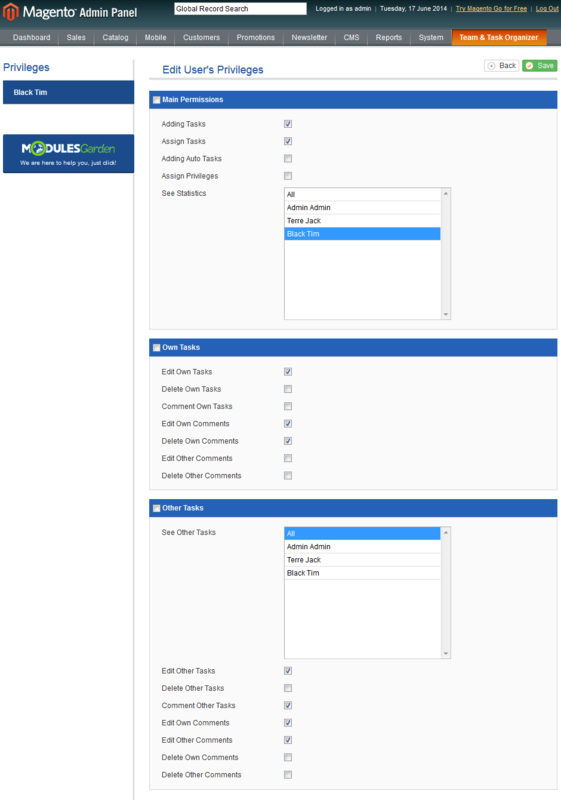 What is more, our product will allow you to schedule tasks that will be created upon occurrence of a specified event. 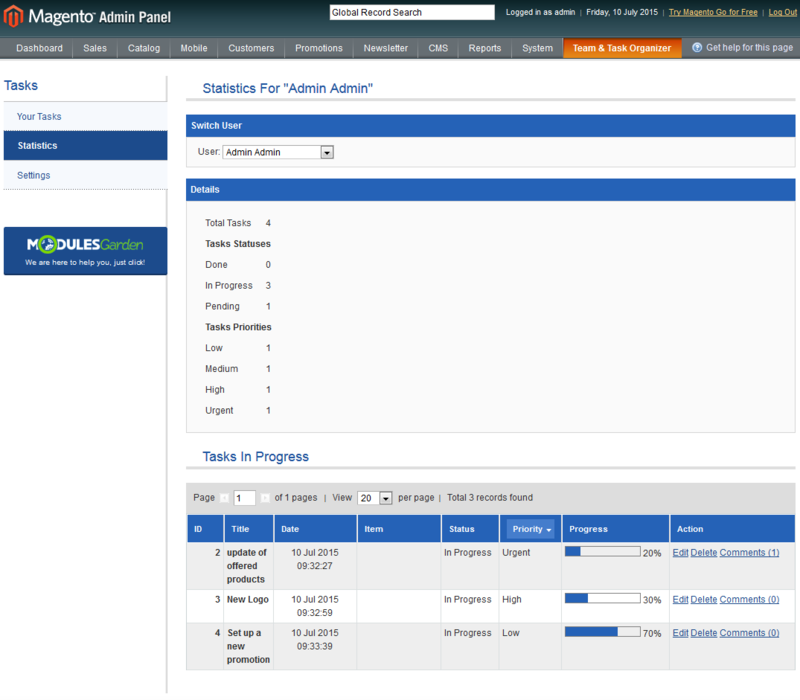 Its functionality is complemented by admin panel widget which permits you to monitor and manage each task from any place of your Magento. 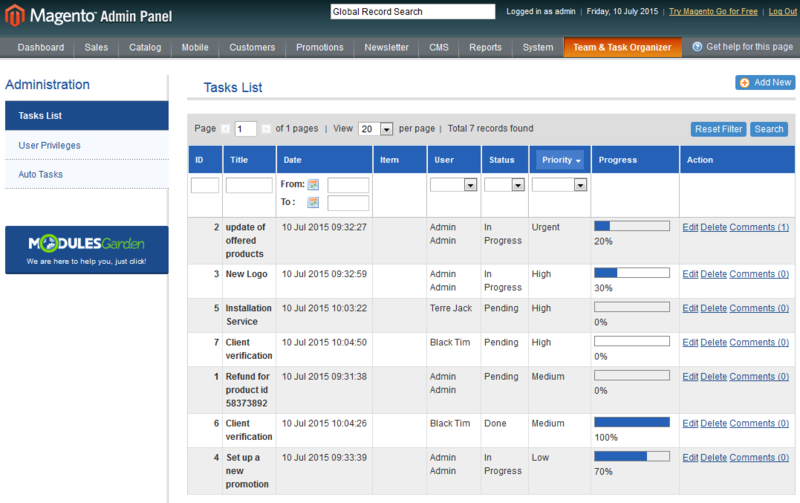 Our extension will help you schedule, organize and manage tasks which should be done by you and your employees. Owing to this you will be always up to date with every aspect of your store and you will have all the necessary information at your fingertips. 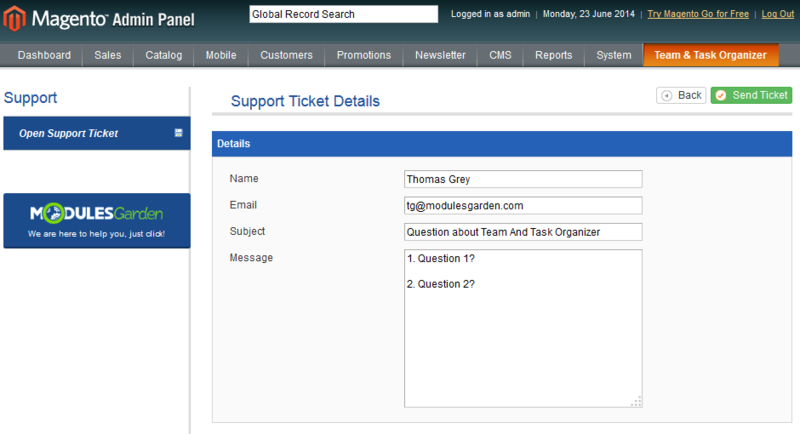 Order Team & Task Organizer For Magento today and take complete control of your business and sales!